This book is an exploration of the metaphors that underpin Buddhism as a religious and cultural system. 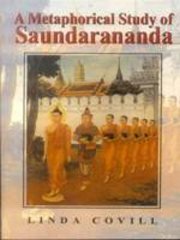 A focal point for the exploration is provided by the enchanting and richly metaphorical Sanskrit text, the Saundarananda, by the Buddhist monk and poet Asvaghosa. The poet uses fundamental metaphors such as the Buddha as a physician or the Dharma as a path, as well as less familiar conceptual superimpositions such as the parallel between meditation and gold refining, to structure the poem and to guide the reader through the different stages of his hero's conversion. Drawing on her wide knowledge of literary criticism, cognitive linguistics, Sanskrit literature and Buddhist thought, Linda Covill provides a sensitive and thorough analysis of Asvaghosa's metaphorical genius and a convincing account of the conceptual metaphors of Buddhism.